Dark Horse – The Barley Whine Hop Juju. Regarded by locals as a world-class DIPA, as exceptional a double as Headhunter is a traditional IPA. 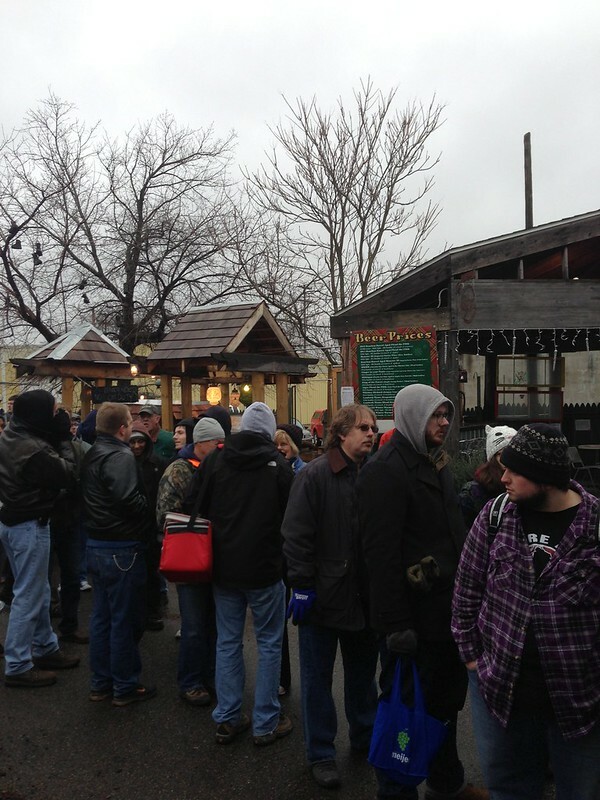 Hype was palpable. 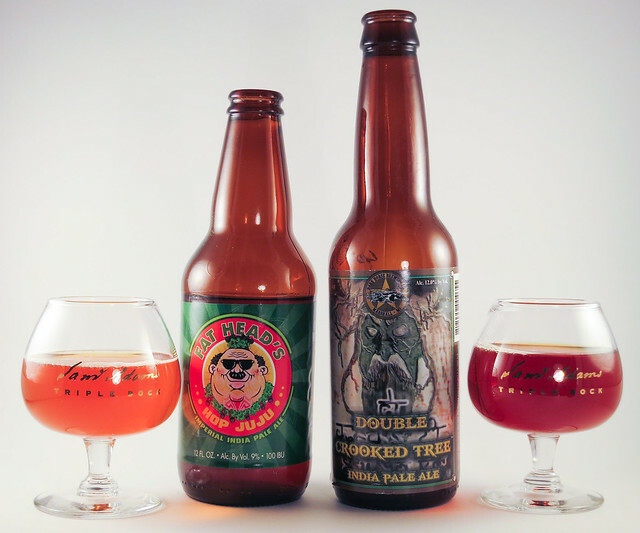 The second beer is old-school as far as the imperial IPA scene goes. Having been released in 2005 as a hop bomb with 98 IBUs and a massive ABV of 12%, it represents all the brashness and swagger of the team at Dark Horse. No Really, What Is The Best Coffee Beer? After our first tasting of coffee beers, we realized that the surface had only been scratched by our efforts. With so many coffee flavored beers currently being brewed, our attempts to find the world’s best needed a much larger sample size. 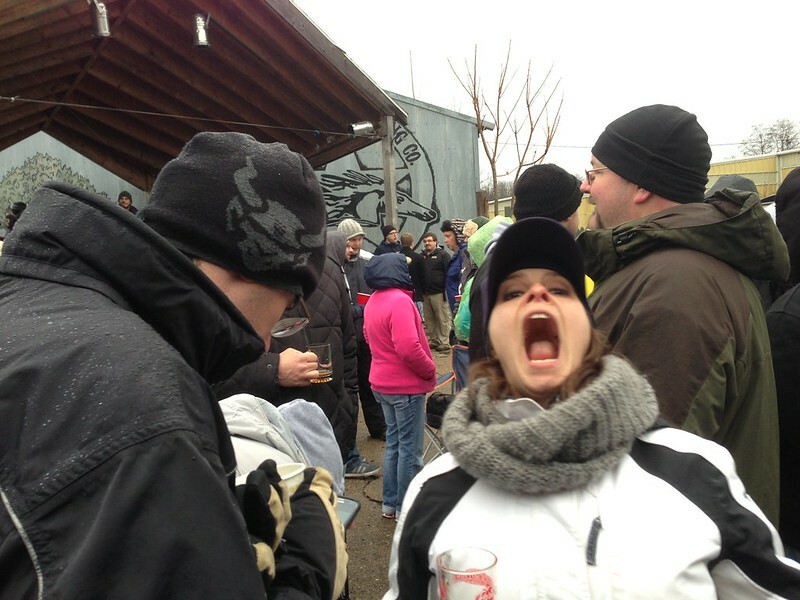 And any excuse to taste coffee beers in the cold months makes sense to the BW cabal. This is our effort to review more of the world’s coffee beer population. So why are there so many beers using coffee? And what is the origin of coffee in beer? Who do you think we are, Woodward and Bernstein? You’r way off pal. Let’s get to tasting. At a recent party Dave and I moved furtively to the kitchen with a trio of fellow craft beer aficionados. We then poured (not 100% blind) mostly even drams into small sampling glasses. Starting from the most genteel amber ale with coffee and Sam Adams lackadaisical creation (the only repeat from part #1), we moved to heavier beers before finishing with bourbon barrel aged imperial stouts. Notes were taken but no scores were tallied. 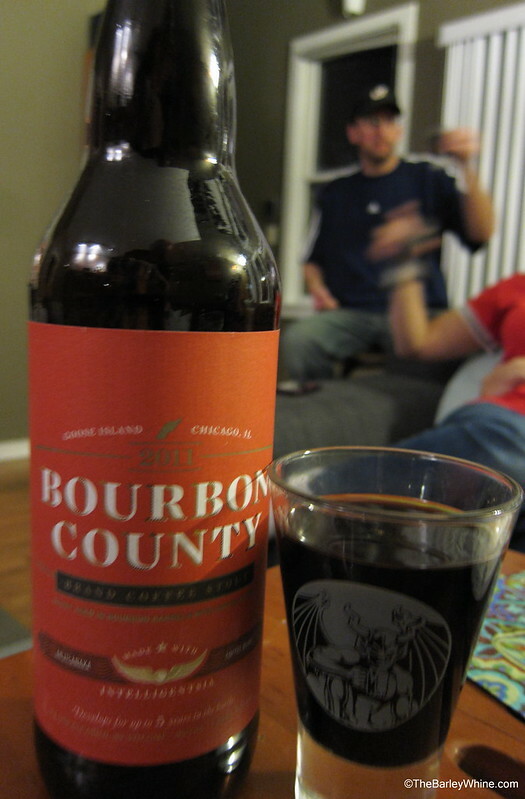 Goose Island – Bourbon County Coffee Stout 2011: This is a super hyped beer. Brewed with Chicago’s own Intelligentsia Anjilanaka beans, a coffee geek choice, and barrel aged in Elijah Craig 18 year barrels, this beer uses world class ingredients in a style defining brand. Huge fruity coffee, massive vanilla and bourbon with roasted malt flavors with no bitterness. Lives up to the noise and then some. 14% ABV. Founders – Kentucky Breakfast Stout: Smelling of coffee and sweet chocolate, pours a khaki strong head with good retention. The taste is cold pressed coffee combined with semi-sweet chocolate. Finishes with a bitter chocolate/hoppy bite. The mouthfeel is thick but slick from the oatmeal, and well carbonated. A world class blending of flavors, brewed to perfection. De Struise – Damnation II Mocha Bomb: A dark chestnut pour with bubbly tan head. Smell is surprising mix of malts, coffee, and hops. Some sweetness, coffee, and hops with biscuity malts. Some astringency from the roasted malts and hops. Coffee is mostly in the finish. Body is creamy, smooth and thick. The 12% ABV is well hidden. Superb beer. Long Trail – Brewmaster Series Coffee Stout: An imperial stout at 8% ABV. Lots of chocolate roasted malt flavors and potent, smooth coffee. Good body, a bit of oil and only a hint of java bitterness. When we think of good coffee stout, this is it. Seek this out! 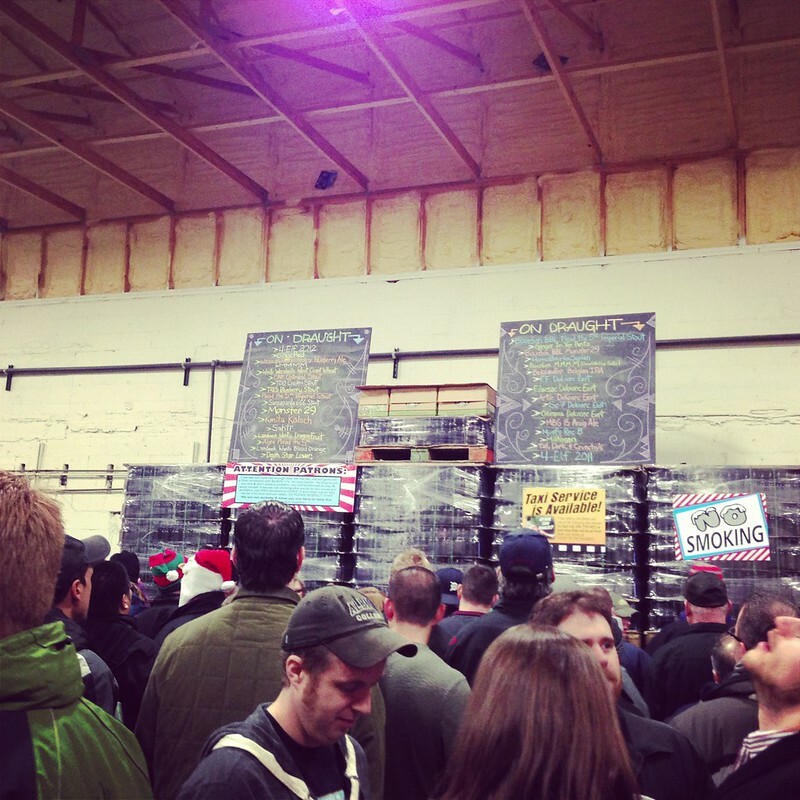 Fort Collins – Common Ground: Tasted second. An American amber ale. Taste is Fat Tire with coffee from the well regarded Jackie’s Java. Nothing wrong with that. The big dark malts play to style and pair well with the coffee notes. An uncommon, but solid coffee beer admixture.